Flipping houses, or property development, is a great way for you to make money. If you’re looking at venturing into new money-making ideas, this could be ideal for you. There’s lots of money to be made, especially if you know how. Take a look at my short guide that will help you make money on the property market. The key to property flipping is picking the right property. If you can do this, you’ll start to make a lot of money. What is the right property? Well, the dream house for a property flipper is a place that’s decently priced and can have value added to it. You want something that you can make changes to that will increase its market value. You’ll also want to think about the location of the house, as this can help when you sell it. If it’s in a sought after location, it will be easier to sell. It’s a good idea that you shy away from high-end properties if you want to make any money. The top of the range houses will rarely have room for improvement. It won’t be worth investing in it because you can’t really make any significant changes. And, the changes you do make may not influence its price too much. Stick to affordable houses that you can turn into a top of the range house! Although the property market is excellent for making money, it’s also a very expensive road to travel down. For most normal people, a house is the most expensive thing they’ll purchase. When you’re property flipping, you need to make sure you have the finances to buy properties. Most first-time property flippers will look for investor financing from a money lending company. This way your investment will be financed, and you’re able to pay for the property you want. It’s very important you can get the financial backing in a short space of time. 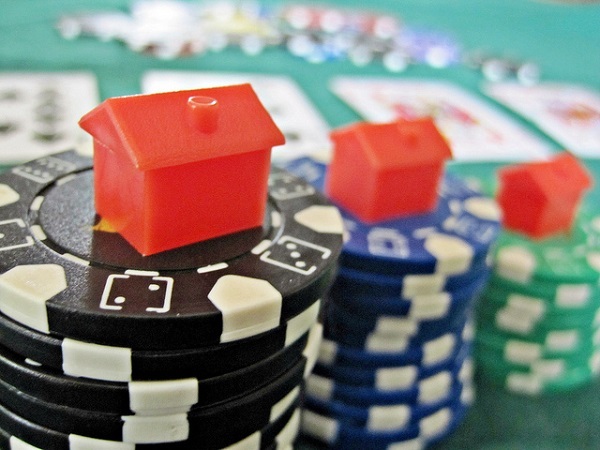 If you’ve spotted a great deal, you can bet other property investors will spot it too. So, you have to move quickly and purchase the property before anyone else. Obviously, you can’t do this unless you have the financial power to do so. The whole aim of flipping a property is making changes and developments to a house. This is how you can make money and turn a profit. By adding things and making the house better, you will increase its value on the property market. Then, you’ll be able to sell it for a higher price than you paid for. But, and this is a big but, you have to take development costs into account. If you spend too much on your property development, the profit margins will decrease. Before you make any changes, you should check to see how much they can improve the house price. There are people out there that can give a rough estimation so you’ll have a fairly good idea. If development costs too much and doesn’t add a great deal to the house price, is it worth it? Probably not. Stick to making cost-effective changes to boost the overall house price and make a profit!